Vairākumam cieto disku ir 7200rpm apgriezieni, kas jau kļuvis par industrijas standartu. Advanced firmware technology built into every WD Red drive, NASware enables seamless integration, robust data protection and optimal performance for systems operating in NAS and RAID environments. 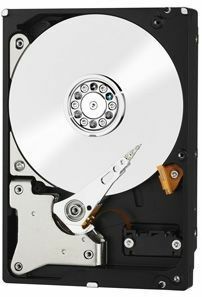 WD’s exclusive NASware technology improves NAS storage performance by reducing common hard drive concerns in NAS systems including concerns for things like compatibility, integration, upgrade ability, reliability and cost of ownership that are experienced with a hard drive designed for desktop computers. Specifically designed and tested for small office and home office, 1-5 bay NAS systems and PCs with RAID. Немного издаёт звуки, когда NAS, вроде как не используется, но только иногда. Возможно автоматом происходит дефрагментация. А так оптимальная цена на текущий момент за данный объем диска. Atveda ar DPD jau bojātu. HDD labāk pašam vest mājās. Ātrums labs, ierakstīšana ap 60-70 MB sekundē. Diezgan kluss.